Today’s depressing realization: The Terminator came out more than 25 years ago. When it hit in 1984, I was a vital 17 years old, but now I’m a decrepit 43. And it ain’t getting any better from here; it’s not like that “life percentage” will reverse itself. 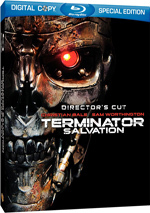 At 108 minutes, Terminator is the second shortest movie made by Cameron; only 1981’s awful 94-minute Piranha II: The Spawning fills less screentime. The length differences aren’t minor. 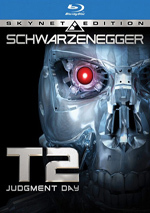 The theatrical cuts of both Aliens and T2 ran 30 minutes longer than Terminator, while both the original release of The Abyss and 1994’s True Lies ran stayed in the same neighborhood. They entered the 140-minute-plus realm, but they weren’t much longer than the other two. Then there’s Cameron’s biggest success, 1997’s Titanic, with its 193-minute running time. Which is a shame, since a few ads popped up on the 2001 DVD – as well as some other supplements missing here. The Blu-ray loses the “Other Voices” documentary, Cameron commentary for the deleted scenes, Cameron’s text original treatment for the film, still galleries, trailers, TV spots, DVD-ROM materials, and Easter eggs. That’s a lot of omitted content. It’s unfortunate that the Blu-ray fails to come close to the content on the DVD. 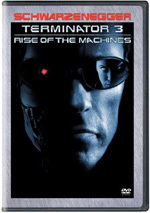 While The Terminator doesn’t match up tremendously well with director James Cameron’s later films, it remains an influential, seminal and enjoyable movie. What it lacks in polish it makes up for in heart and energy to a degree. 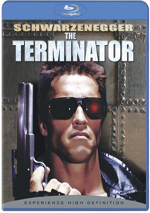 I admit I prefer its sequel, but The Terminator still has a lot going for it.